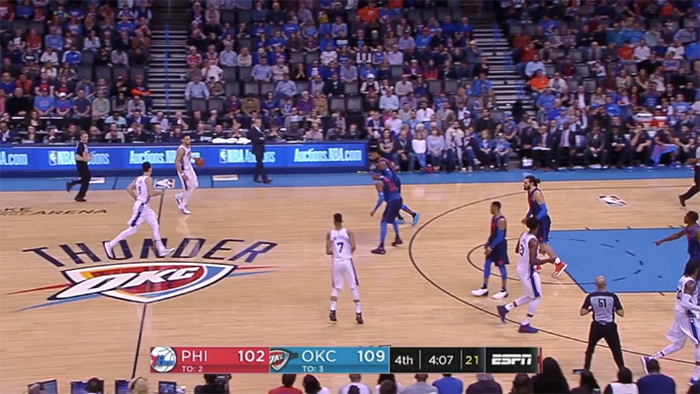 The conventional wisdom is that the post up is dying in the modern NBA. And that's true, to a point. On the rebirth of post play — with a twist. Dan is Houston Rockets’ Head Coach Mike D’Antoni’s brother, and served as an assistant coach on Mike’s staff through stops in Phoenix, New York, and LA before taking the job as Marshall Head Coach — and leading them to their first NCAA Tournament appearance in 30 years by playing this style. The statistics he was citing in that press conference were the same ones that the D’Antoni brothers relied on while coaching in the NBA, the ones that converted them from coaches following hunches into high priests of the new NBA religion called Seven Seconds or Less. D’Antoni may have seemed revolutionary saying this about the college game, but in the pros this was old news. Synergy Sports reports that in 2004-05, when they first started recording their data, the team that posted up the least still generated about 8% of its offense out of the post. This year that’s the league average, and the team that has eschewed the post the most (the Hawks) has only used it to generate 1% of their offense. The Spurs are the #1 post up team in the NBA this year, with 15% of their offense coming out of back-to-the-basket setups. 12 years ago they did the same thing, yet ranked 11th in the league. 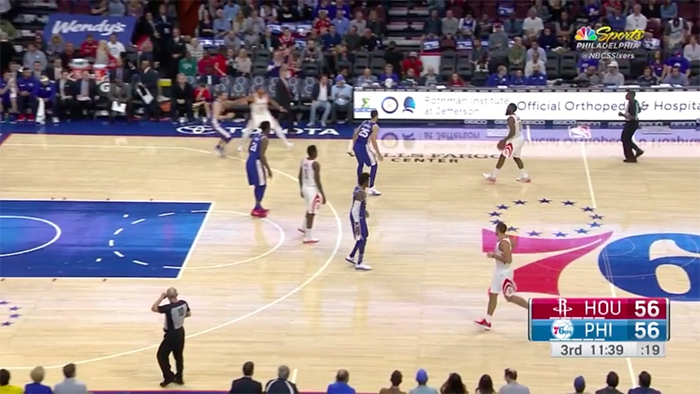 But perhaps we shouldn’t dance on the grave of the post up just yet. 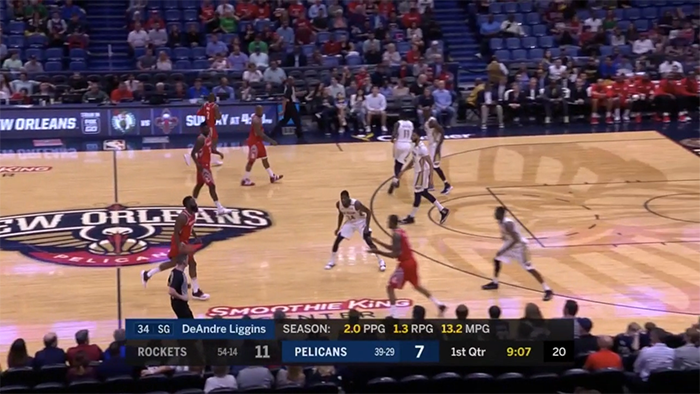 Because a funny thing is happening in the NBA: coaches have begun running plays designed to get the ball in the post, seemingly going counter to this trend. Perhaps most confusing of all? One of the foremost employers of this strategy is none other than Dan’s brother, Mike D’Antoni. The answer to this riddle lies in an important distinction. What is dying is not a specific spot on the floor — it’s a style of play. 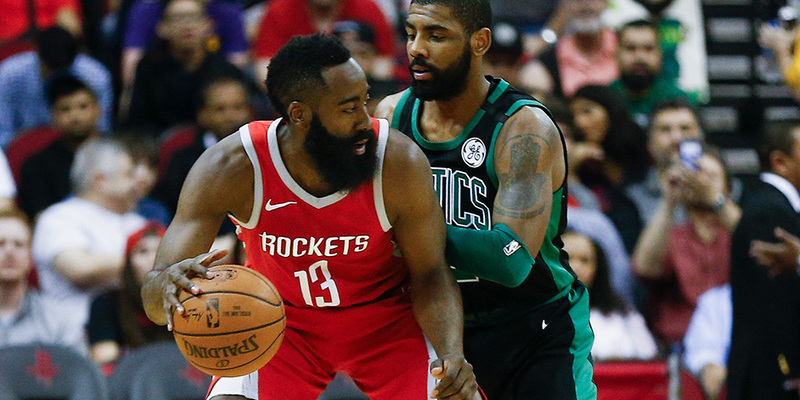 The changes in the illegal defense rules in the early 2000s fundamentally altered how NBA basketball is played: once defenses could shift and help, one-on-one, isolation basketball was no longer as efficient. And that’s true wherever it originates — at the top of the key, on the elbow, or in the post. The modern game is not the static, physical, iso game of the 90s, but instead a dynamic blur of constant action and movement. This year Synergy reports that only one team has generated more than 13% of its offense out of isolations. In 2004-05, 23 teams did. But that doesn’t mean the post is now useless. There are still plenty of advantages to playing out of that floor spot beyond isolation scoring. Coaches have begun to realize this, and the post up has taken on new life as a playmaking hub, following the same principles that are being applied to many different aspects of offense: ball and player movement all over the floor designed to keep defenders from being able to key in and load up on any one area. The Warriors under Steve Kerr have brought this to the forefront. When taking the reins in Golden State, Kerr blended elements of various offenses he played in — including the Triangle Offense, a system designed for a different era. One aspect of what he implemented was the Triangle’s “split cuts”: off ball movement where perimeter players screened for each other when the ball went into the post. 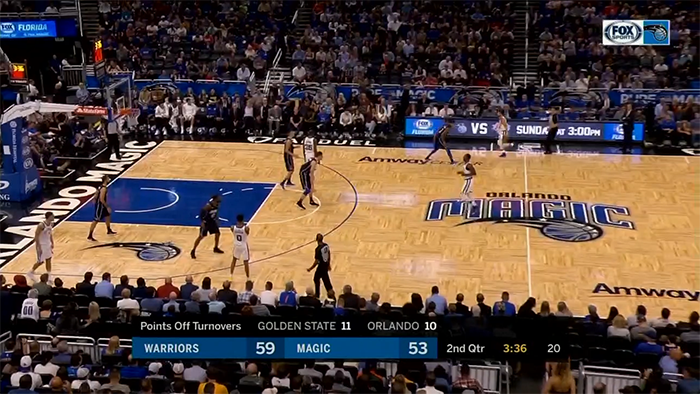 But the Warriors don’t run this as simply one option out of the post up — it is the option. They throw the ball into the post not to score directly from it, but as a different angle to run their shooters off of screens. Using the post player as the entry passer for this off ball screening action has a few advantages, perhaps foremost among them that the passer is close to the basket. That means the on-ball defender has to play up on the ball — he can’t sag back in the lane to take away the passing angle because it would concede an easy shot. It also shortens the distance for any pass to a cut to the rim, making the pass easier and giving defenses less time to rotate in help. 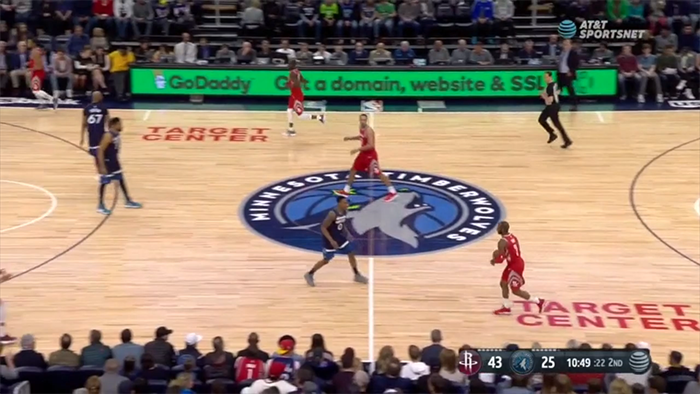 Mike D’Antoni has done the same thing, taking a set he used in New York to generate a post up, called Thru Down, and turning it instead into a different angle to run off ball screening action. 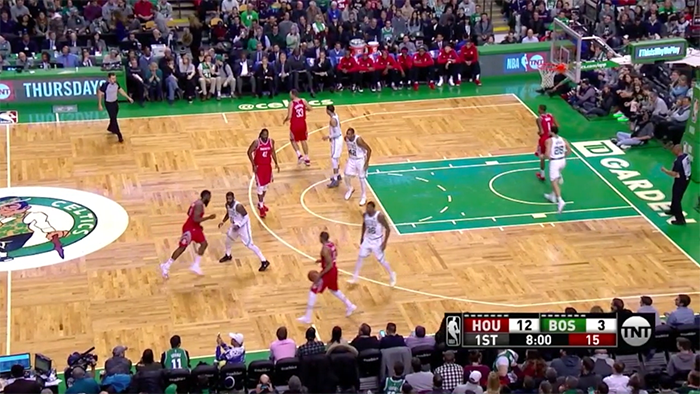 Again, the post position helps make this back cut even more effective: the players are close to the basket and the pass is quick, meaning the help has no time to get there on a breakdown. The isolation post up may be on its death bed, but a new post up is emerging: a playmaking post up. The post up is dead. Long live the post up.